Click on the "Track Order Status" link in the invoice email you receive from us when your place the order and you will be taken to a page with the information. If you do not see any information on the page your tracking details has not been updated yet, please check again on the next 1 or 3 working days. 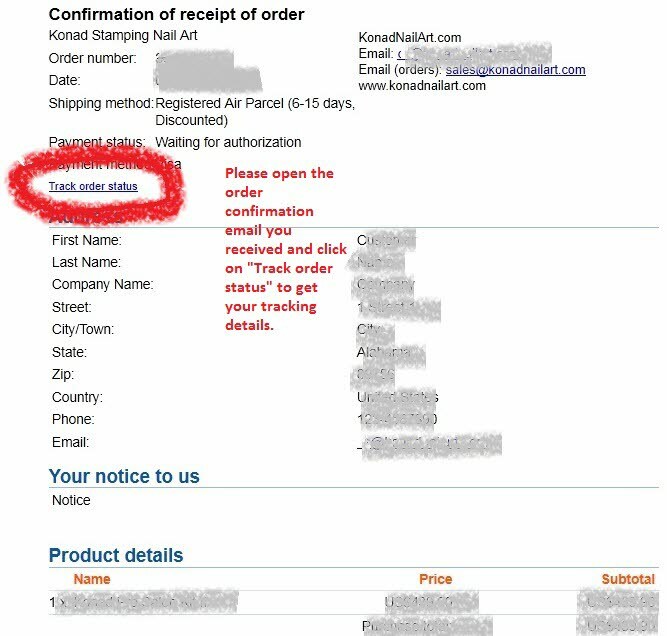 Please see below an example of where the "Track Order Status" link is located in the Order Confirmation email.